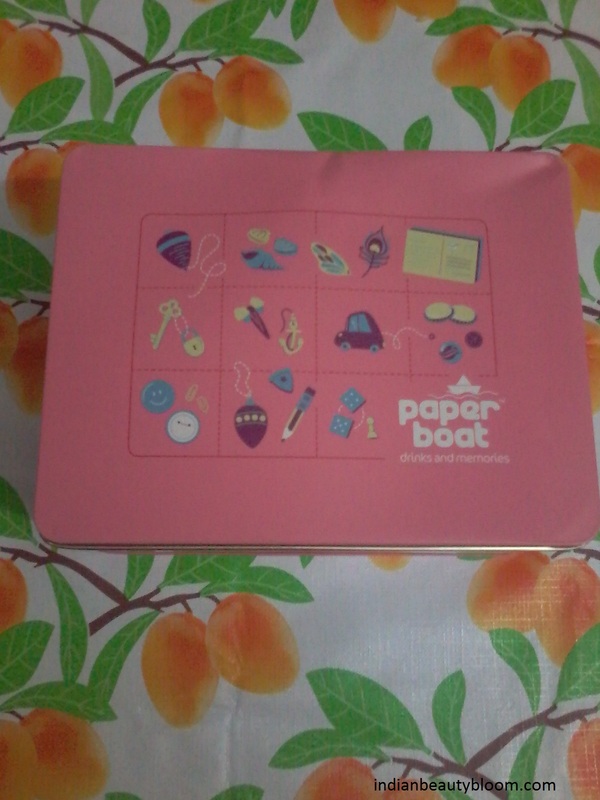 Today I am going to Review a Drink from Famous Brand Paper Boat . Today market is flooded with fruits juices and drinks from various Indian & International brands . We have many options to choose from , but many fitness freak and health consious prefer drinks with no added sugar and no preservatives . I had seen this paper Boat drinks in few super stores but never tried . Was thinking of trying this as it has no added colors and preservatives . 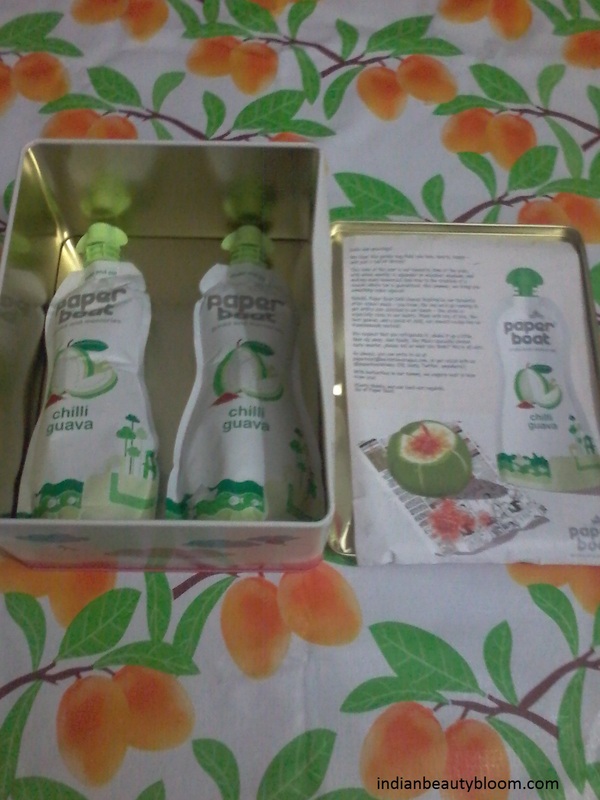 Recently I got a box of two Chilli Guava Drink from Paper Boat and was happy to receive a lovely surprise . I tried these drinks and loved it taste . 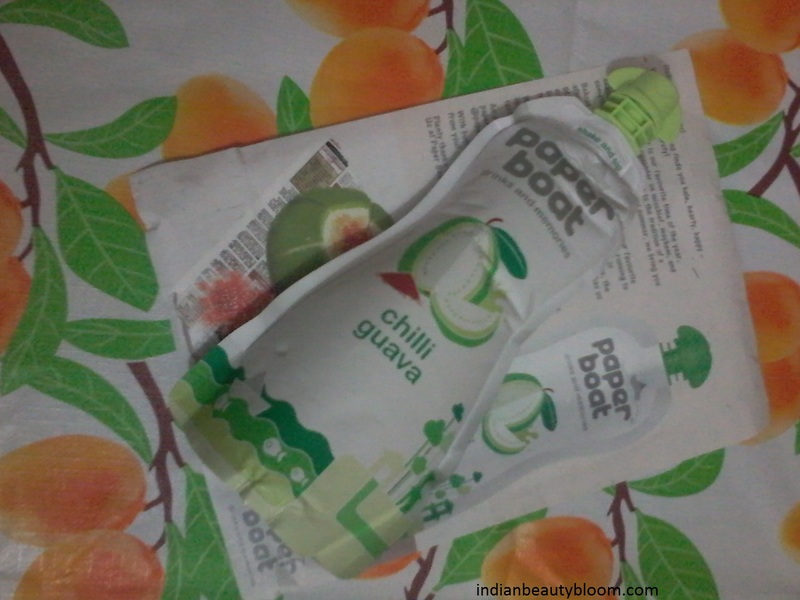 It tastes like real guava with little chilli flavour in it . I thought it would to too spicy as it was written chilli Guava but its not that spicy or chilli , its good . I loved its packaging , a unique one , one of its kind in the market . Price Rs 30 for 250 ml which is too good . Its great to get a good product in a reasonable price . Expiry date — 4 months from date of manufacture . 1.Great taste , it tastes like real fruit . 2.Affordable Price , price much less then other brands . 3.No added colors & preservatives . 4.Easily available every where . After trying this now i am going to try some other flavors from this brand . They have many interesting variants like Rose Tamarind , Aamras , Jaljeera, Jamun Kala Khatta etc . When i browsed their site , I was amazed to see a Great collection of various flavors . Another thing which i like about these drinks is its Unique combinations of flavors which has great taste and some Unique Names which reminds us of our childhood memories , some thing which is lost is today’s busy life . Like this Chilli guava reminds us of guava + chilli which we used to eat during our school days . Kala Khatta reminds of some local ice cream/chuski flavors . So with this drinks we not only get a Delicious Drink but also get some old memories which is to be cherished for ever . Hope you all enjoyed reading this post . Share what flavor you have tried from this brand .